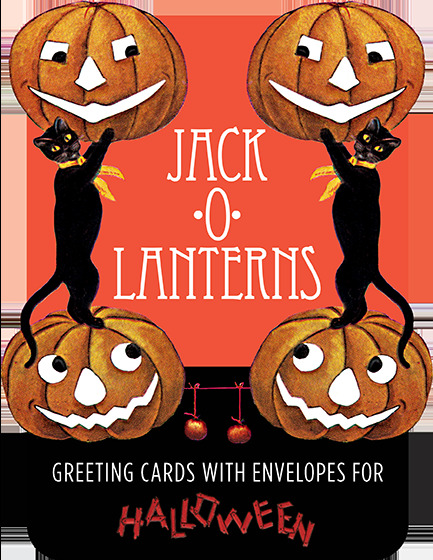 Jack-o-Lanterns are our favorite part of Halloween and we here offer eight of our favorite antique images as notecards, packaged in a delightful shaped box. Jack-o-Lanterns are our favorite part of Halloween and we here offer eight of our favorite antique images as notecards, packaged in a delightful shaped box. Perfect for Halloween correspondence.